"The heritage style hotel in Rajasthan, Hotel Udai Vilas Palace in Bharatpur has gained massive reputation among tourist and travelers who visit the city on a daily basis. Its close proximity to the railways station and also with the famous Keoladeo National Park has made it a personal favorite haunt for one and all. The hotel serves its guests with impeccable services. 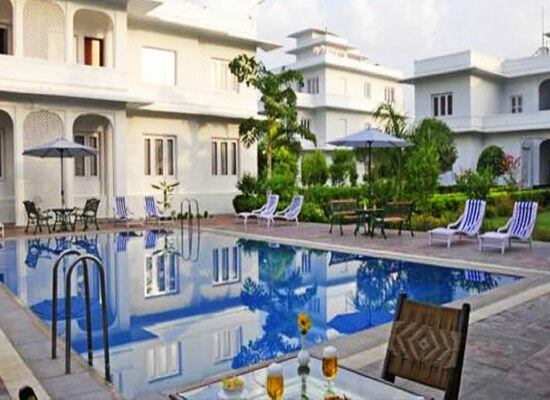 Hotel Udai Vilas Palace is a heritage style resort in Bharatpur which provides excellent accommodation facilities and services to discerning travelers. 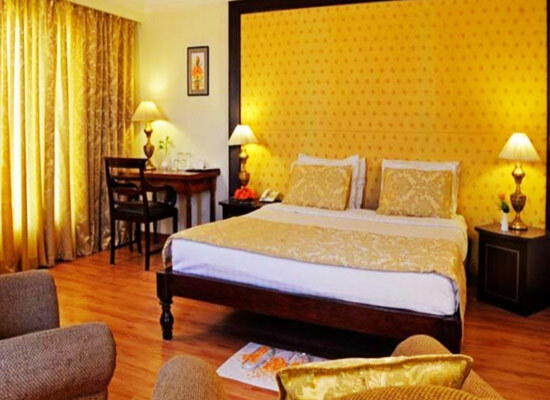 The interiors of the hotel are designed to remind one of the historical days of Jat Rulers of Bharatpur. With the royal facade at every corner, one is guaranteed to transfer back to the past with a stay in here. For the accommodation of the guests, the hotel offers a total of 50 rooms comprising of 40 Deluxe Rooms and 10 Luxury Suites. 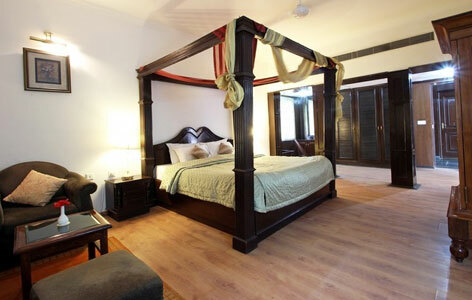 The interiors and services provided in all the rooms are totally of international level. 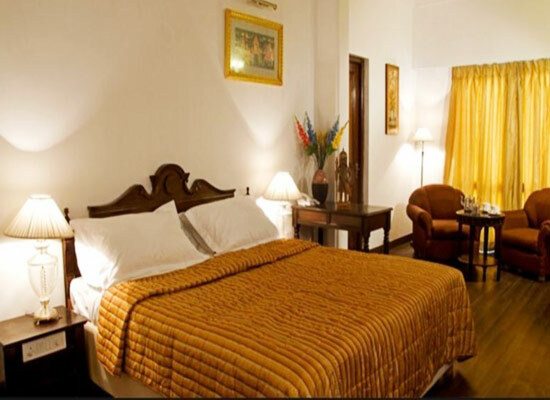 The rooms are facilitated with modern amenities. Deluxe Rooms: These are cozy, comfy and spacious rooms available in single and double types. Luxury Suites: These spacious suites are designed in colonial architectural patterns to provide the settings of days gone by. 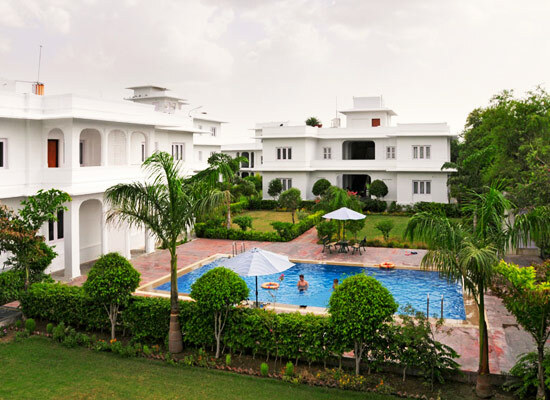 The guests who stay at this heritage style hotel in Bharatpur love feasting on the traditional flavor of Rajasthani cuisines that is served in the hotel’s multi-cuisine restaurant, Ghosla. The restaurant also features several international dishes along with some delicious Indian, Continental, Chinese and Mughlai cuisines. Alcoholic and non-alcoholic beverages are also available to provide a fine dining experience. The city of Bharatpur in Rajasthan was established by the legendary Jat King Maharaja Suraj Mal. He was also responsible for building the magnificent Bharatpur fort along with several stunning gardens and palaces at Deeg. The city is a major tourist attraction because of the famous bird sanctuary here, Keoladeo National Park. For lovers of wildlife and birds, this park is a fascinating tourist destination.